“It hasn’t always been this way.” And it may not stay this way, either”, Emmerich Knoll answers gravely, with an emphatic pause between sentences. We’re driving along the north bank of the Danube River a couple of hours west of Vienna. Above us, vines cling to breathtakingly steep slopes along narrow terraces that follow the sinuous contours of the hills overlooking the river. It’s already May, but the spring has been cool and there’s only a few inches of green pushing out from the arms of these short, rugged vines, leaving the meter-high, dry stone walls that contain the terraces visible from the road in the oblique afternoon sunlight. I had just remarked to Herr Knoll, a leading Wachau grower, on the extraordinary effort required to farm these sites, where everything must be done by hand, shuddering at the cost of production. Knoll still remembers the time when his grandparents and parents sold their entire production through the extended family’s local tavern and inn, the Loibnerhof across the street from the winery, in unlabeled bottles. Times have certainly changed. The top wines of the Wachau, Austria’s most revered white wine region, today command prices that begin to make the effort financially worthwhile (and the Loibnerhof is one of the region’s top restaurants serving traditional cuisine, with a Gault Millau toque). But, as Knoll has pointed out, the high prices now commanded for these singular wines are relatively recent, and the future is never guaranteed. You needn’t travel too far back in time to reach an era when the very existence of these vineyards was in peril. In fact, Vinea Wachau Nobilis Districtus, a local growers’ association of which Knoll is the current chairman, was created in 1983 essentially with the aim of ensuring the future survival of these challenging terraced vineyards. Founders Josef Jamek, Franz Hirztberger Sr., Wilhelm Schwengler, and Franz Prager recognized the precarious existence of such visually arresting but frighteningly expensive to farm sites. It’s plain to see why they were concerned. In an era when competition was based principally on quantity and price, this demanding region, where costs are high and yields are low, would never be able to compete with other parts of Austria, not to mention the rest of the world. The founders of Vinea Wachau believed that by establishing an uncompromising production code they could raise and maintain the quality mean, and thus bring greater respect for Wachau wines. Prices, too, would logically follow suit. Membership was, as it still is, open to all Wachau winegrowers, provided they agree to follow the rather strict Codex Wachau, which outlines wine production. Among the main principles of the Codex is adherence to purity: no adulteration is permitted (chaptalization, concentration, fractionation, or aromatization, including obvious oak), in addition to guaranteeing origin (no grapes from other regions are even permitted in the cellar). To start, 24 wineries took up the gambit and joined the association. Now Vinea Wachau counts nearly 200 members. And the initial aims have largely been met. The Wachau remains the most famous Austrian appellation, and enjoys sustainable prices that far exceed the national average. The future of this remarkable physical landscape has also been given institutional protection. The entire Wachau region was designated a UNESCO World Heritage Site in 2000, recognizing that the “architecture, the human settlements, and the agricultural use of the land in the Wachau vividly illustrate a basically medieval landscape which has evolved organically and harmoniously over time”, according to the official inscription. Medieval is accurate. Terraces have existed in the Wachau for over a thousand years, first carved out of the hillsides for the cultivation of vines by monks of Bavarian monastic orders sometime around the 9th century (even if the Romans before them had planted grapes and made wine). The terraces were necessary both to prevent erosion in an area that sees substantial rainfall, as well moderate the steep pitch of the slopes, the steepest of which would set even the hearts of extreme skiers racing. 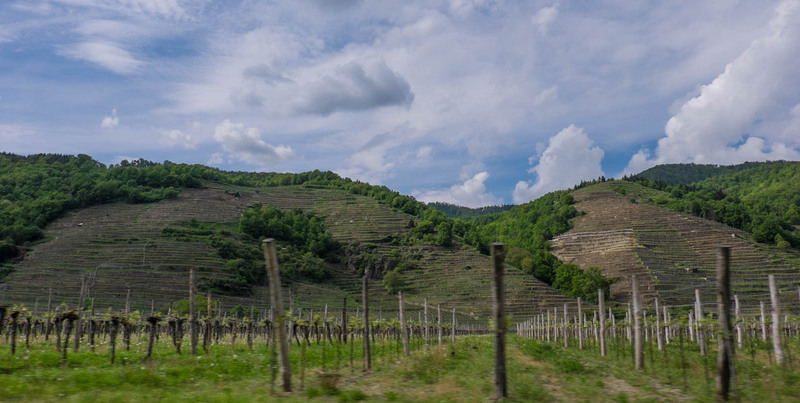 These slopes are where most of the Wachau’s top wines originate, benefiting from better damage and warmer nights, less vigorous soils and less frost damage and botrytis. But it’s fair to say that if these terraces hadn’t already been built, no right-minded businessperson would ever even conceive of creating them today. As for Rudi Pichler, he spends up to 2000 hours a year to farm his particularly steep and stony parcel of the famed Achleiten vineyard in Weissenkirchen, with a slope gradient up to 77%, and just a few hundred hours in his flatter Kirchweg vineyard with a maximum slope of 4%. Grape prices naturally reflect these differences in labour cost. Erich Pichler-Krutzler pays five to six euros for a kilogram of grapes from the precipitous Kellerberg in Dürnstein (65% slope), and just 1.5 euros for grapes from the Fraunengärten just a little further upriver (2%). The additional cost is not simply related to the extra time required to spray, weed or harvest by hand. Part of those work-hours is devoted to maintaining the dry stone retaining walls, a feat of craftsmanship in itself. Being mortar-free, the walls are elastic and can disburse water pressure evenly, allowing it to drain through small gaps in the stones and prevent erosion. As a side benefit, the stones also moderate the microclimate of adjacent vines, absorbing and releasing heat, providing an extra nudge of ripeness. Yet the walls’ elasticity also means that they need occasional repairs, an expensive necessity. 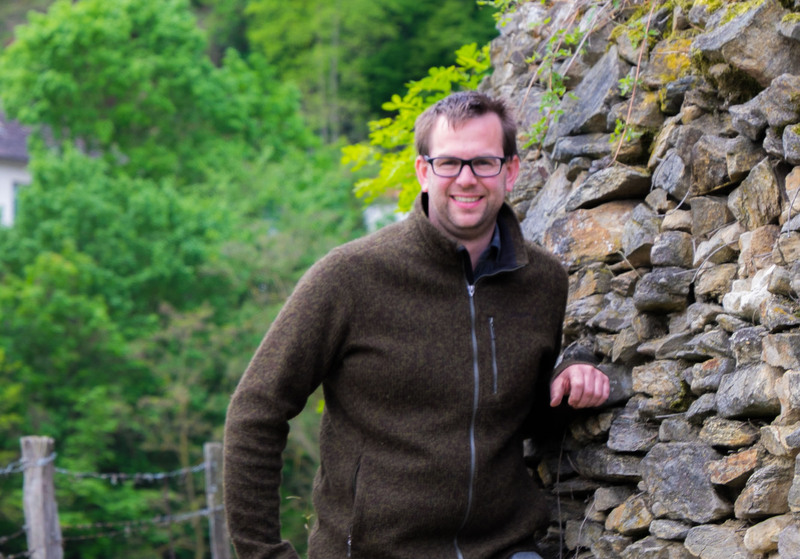 Roman Horváth, managing director of Domain Wachau, the cooperative that controls nearly a third of the Wachau’s vineyards, calculates over 520 euros (c. $750 CAD) to repair a single square meter. Considering that there are several thousand kilometers of walls in the region, the price of this stony artwork rises into the millions of euros, a cost not on the balance sheet in so many other regions. And to make matters worse, the skilled labour capable of making the repairs is in short supply. Convincing anyone to work in these vineyards is a growing challenge. In any case, consider this unique and beautiful landscape the next time you’re sipping wine from one of these great vineyards. For me, it’s a particularly bittersweet sensation to take pleasure from another’s grinding efforts, and I’ll gladly pay the price to experience them. The wines, after all, are worth it. Besides, if we don’t, they may just disappear. That would be a tragedy. The Wachau wine regions covers about a 30-kilometer stretch of the Danube between the town of Krems in the east and Melk in the west. It counts some 1350 hectares of vineyards, ranging between 200 and 450m above sea level. Ownership is highly fragmented – it’s rare to find parcels larger than a single hectare – and vineyards are shared between some 650 growers. In practical terms, control of the acreage is almost evenly split between top family estates, the 250-odd members of the (excellent) Domaine Wachau cooperative, and growers producing wine destined for local distribution, mainly in the region’s heurigen, or wine taverns. This stretch of the Danube sits at the confluence of two major climate influences: the warming Pannonian Plain to the east in neighboring Hungary, and the cooling continental influence of the Waldviertal forest to the north-northwest. Thus average temperatures drop gradually as you move from east to west. Topographic features such as side valleys, which allow cool air to funnel down from the north as at the eastern side of the Kellerberg vineyard in Dürnstein, break up this neat pattern. But the generality remains. According to Rudi Pichler, there’s “up to two weeks difference in ripening time from the warmer east end of the Wachau near Loiben, to the west around the town of Spitz, as the warm Pannonian influence diminishes.” Indeed, Spitz was once considered too cold for fine wine production. 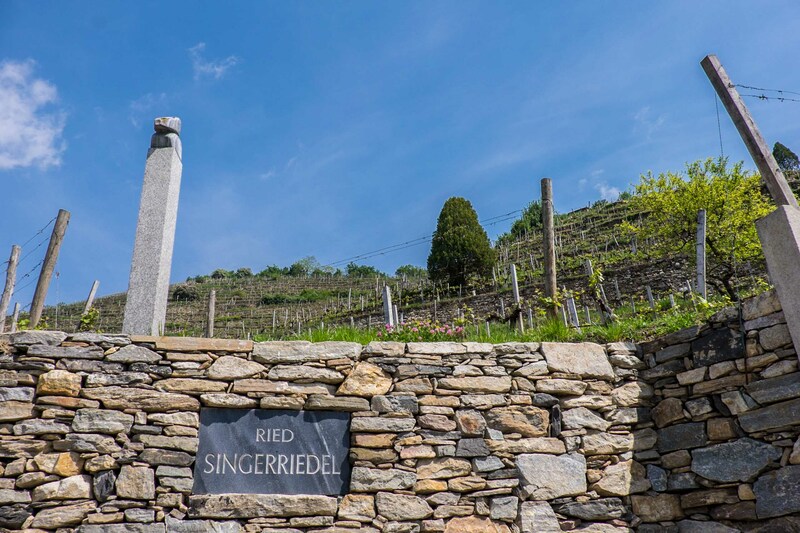 “Fifty years ago, even in the 1970s and 80s, it wasn’t worthwhile to produce quality wine”, Franz Hirztberger Jr. divulges surprisingly, in reference to the Singerriedel vineyard, which today I would count as one of the single greatest riesling vineyards in the world. No one here doubts the existence of climate change. Although topography is less dramatic on the south bank and slopes far more gentle, climate and geology are similar. And with a warming climate, the south is poised to become a hot spot, or at least another source of top quality wines. Land prices are already reported to be on a steep rise as the rest of the Wachau becomes almost untouchable. As varied as the geology is, there are two principal soil types. Wind blown loess and alluvial matter feature prominently in the flatter vineyards down by the banks of the Danube, while more pure loess fills the leeward, east-facing crevices of the hillsides, deposited there by prevailing west winds. The upper hillsides, by contrast, scoured by erosion, and west-facing sites, swept clean by the winds, offer very little topsoil – here vines plunge almost directly into what the locals refer to as primary rock, essentially variations on the acidic, magmatic-metamorphic rock gneiss. Most of the region’s plantings date from shortly after WWII, meaning the average age of vines is quite high. It was about this time that the Wachau’s two main grapes, grüner veltliner and riesling, began to dominate vineyards. Prior to that most vineyards were field blends, as they were elsewhere in Austria and Europe. Small quantities of other varieties are still grown, but riesling and grüner are the region’s twin calling cards. That grüner is important will not surprise anyone; it leads acreage in all of Lower Austria, while riesling occupies just 4% of the total. But fully one-quarter of Wachau vineyards are devoted to riesling, the highest percentage of any Austrian region. Even more tellingly, the leading family estates often dedicate a much higher percentage of their acreage to riesling. Nearly half of production at Knoll, for example, is riesling, while at Präger it accounts for 60% of production. “In the Wachau, riesling is at least as important as grüner veltliner”, says Horváth. 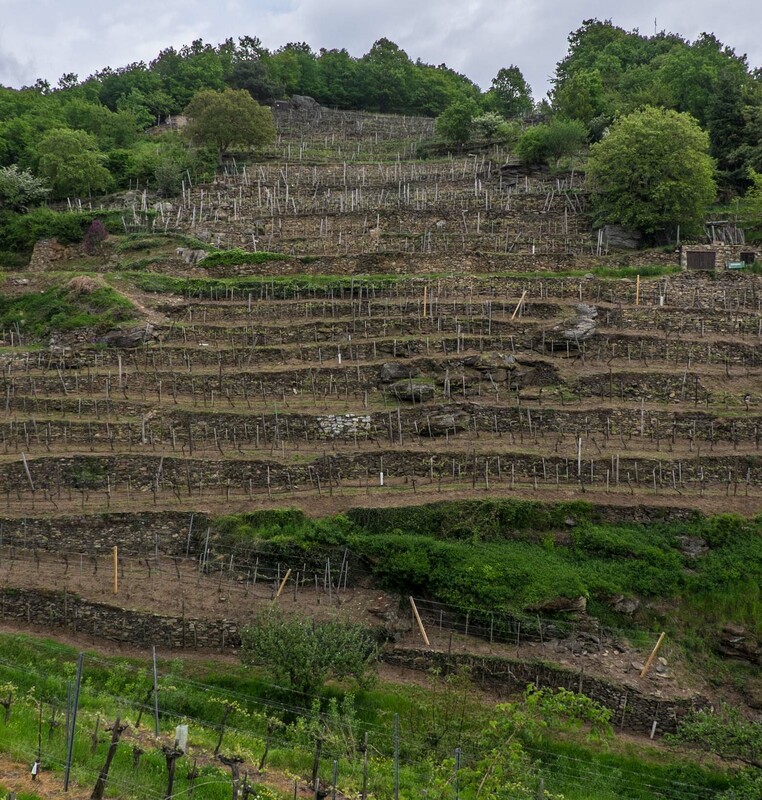 Riesling is planted almost exclusively in the higher, drier, primary rock terraced sites. The variety holds more potassium and calcium in its leaves than grüner veltliner, which enables it to withstand water stress more ably. It also delivers lower yields than grüner on average. “Riesling’s intrinsic tendency is to produce quality”, says Horváth, “while grüner needs more coaxing and care”. Grüner is a more vigorous variety, and importantly, is more sensitive to drought. It reaches its maximum expression mainly on the lower terraces and riverside vineyards, with their deeper, more water retentive, loess and flood sediment-influenced soils, also richer in calcium carbonate and with higher in pH. Grüner also dominates on the south bank for these reasons. Vinea Wachau has registered trademarks for three distinct wine styles, unique to the region, which apply to both grüner and Riesling: Steinfeder, Federspiel, and Smaragd. Only members of the association can use the terms. Unlike, say, the official German classification of wines (Kabinett, spätlese, auslese, etc, in increasing levels of ripeness at harvest, Vinea Wachau members cannot declassify wines (i.e. label a Smaradg-level wine as Federspiel), as both minimums and maximum alcohol are stipulated. The categories are intended to convey a consistent style to consumers. Additionally, Steinfeder and Federspiel must be dry, with maximum four grams of residual sugar. Smaragd can have up to nine grams of sugar, as long as the acidity is within two grams, i.e. at least seven grams of acidity for nine grams of sugar. In practical terms, Steinfeder is a disappearing category. “Steinfeder is losing ground”, says Román Horvath. “With changing climate patterns, we find that grapes aren’t fully ripe [in terms of flavor development] at sugar levels that low”. I’d also add that economically, it makes far more sense to wait a few extra days and harvest at Federspiel or Smaragd levels since these wines sell for much higher prices. Not all top growers are on board with Vinea Wachau’s categories. Erich Krutzler, for example, not a VW member, doesn’t agree with the concept of making both a lighter and a heavier wine from the same vintage and vineyard. “Would you make a Montrachet light and a Montrachet heavy?”, he asks rhetorically. Philosophical discussions aside, in my view, top Wachau rieslings are among the finest examples on earth. Unlike Alsatian and German versions (and anywhere else, for that matter,) they are reliably dry, unless otherwise labeled, and as we’ve seen, guaranteed to be so if the producer is part of Vinea Wachau. They also fall on the more powerful, full-bodied end of the varietal spectrum, especially Smaragd examples, with 13-13.5% alcohol. The examples from the stonier, higher elevation vineyards are tight, racy, extremely stony, quivering with tension and energy. The lower vineyard and deeper loess sites make for slightly rounder, riper, softer rieslings, yet still tension-filled. Grüners, too, follow the same patter. Those from the heavy loess sites are among Austria’s most powerful, rich and full-bodied versions. Wines with over 15% alcohol were once commonplace, though lately there’s been a return to less opulent, baroque styles. The more rare examples on primary rock sites show more delineation and acid character, proving that grüner can also translate vineyard character, if not quite as transparently as riesling. One point of difference among producers is their tolerance of botrytis, even in dry wines. Some accept a small percentage, believing it adds both body and complexity. Others avoid it assiduously, fearing that botrytis flavor will override the nuances of vineyard site. It’s increasingly common to find village designations on the labels of the entry-level bottlings (similar to the VDP association’s “ortswein” – village wine –category in Germany). And as of recently, all vineyard-designated wines must bear the word “Ried” (“single vineyard”) before the vineyard name to distinguish them from bottles with fantasy cuvee names that might be confused with a single vineyard site. There are currently 124 recognized vineyards, but no official vineyard classification is in place yet. 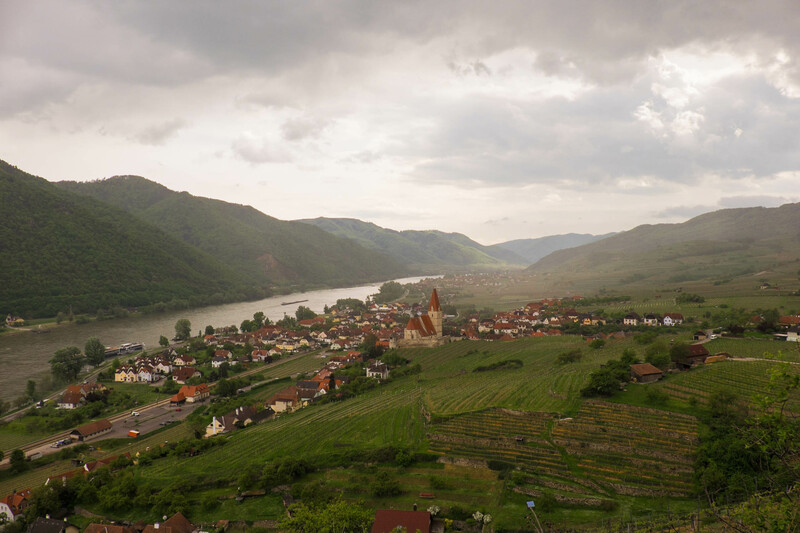 Check out my Wachau Buyer’s Guide below for reviews of some of the region’s best, including wines from: Alzinger, Domäne Wachau, F.X. Pichler, FJ Gritsch Mauritiushof, Franz Hirtzberger, Jamek, Knoll, Lagler, Machherndl, Matthias Hirtzberger, Nikolaihof, Pichler-Krutzler, Prager, Rudi Pichler, Tegernseehof, and Veyder-Malberg. All wines were tasted in May 2017, during winery visits and in general tastings organized by the Austrian Wine Marketing Board. First Leo Alzinger Sr., now Leo Jr., have been crafting sharp, precise wines since 1983 from their base in Unterloiben, across the street from Knoll. Grüner Veltliner and riesling feature elegance over power across a collection of village and single vineyard wines. Steinertal is in the eastern Wachau, a particularly cool site in a side valley prone to cold winds out of the Waldviertel. It’s considered the signature wine from Alzinger, very much in the house style, straight, linear, never opulent, one of the most elegant producers from this end of the valley. The 2009 is very floral with attractive caramelized citrus-lemon and lemon custard aromatics, and honeyed, white flowers. Lovely palate, elegant, fresh, maturing perfectly. Superb length. Really marvellous. Tasted May 2017. This Wachau cooperative brings together about 250 growers covering 400ha of vineyards, nearly 1/3 of Wachau total, including all of the top crus. Fortunately for the region, this is one of the best run co-ops in Austria, and among the top in Europe; quality is high across the range while prices remain relatively reasonable. Managing Director Roman Hortváth attributes success to “intense relations with our family vintners, and a very strict vineyard program”. Harvest decisions are determined by the co-op management, and are harmonized between growers in the same cru., i.e. seven families supply grapes from the Kellerberg vineyard, and each is asked to harvest on a specific day and between specific hours in order to deliver and vinify lots together at the Dürnstein cellar. It’s this sort of attention to small details that makes a big difference. This 2009 example, a ripe vintage, is quite mature now with a touch of botrytis it seems (2009 was a big botrytis year), very ripe, with tropical fruit and honey character. It’s showing well on the palate, fullish, creamy rich but still balanced and nicely composed. Excellent length, high minerality and smokiness. Tasted May 2017. 4th generation winegrower Franx Xaver Pichler is one of the Wachau’s best-known vintners, and has contributed in no small measure to the region’s current enviable reputation. Son Lucas manages the cellar while F.X. manages the vines, exclusively white varieties, in a collection of top terraced sites. Pichler’s wines are broad and powerful, rich and unabashedly large-scale, always one of the last growers to harvest in any given vineyard. Winemaking is minimalist, and the wines are magnificently ageworthy. This 2004 is a study in contrast: on the one hand, 2004 was a delicate, leaner year, cold and wet. On the other, Loibenberg is one of the warmest vineyards in the Wachau, and this wine shows how well a warm site performs in a cool vintage. Acids are still shrill and a little green, but this has evolved slowly and beautifully. Lemony-citric more than hard malic acid. Superb length. I’d be tempted to forget this for another 3-5 years in the cellar, and certainly longer. Tasted May 2017. A family operation since 1799, with a fine collection of vineyards mostly in and around the Spitz Valley (also with parcels in the Loibenberg and Dürnsteiner Burg). Already producing impressive wines with abundant forward fruit, this is an estate to watch in the future. The “Thousand bucket” vineyard (historically, the approximate amount of grapes harvested each year), is one of the steepest and most visually arresting vineyards in the western Wachau in the commune of Spitz, with a commanding view over the Danube. Mauritiushof’s 2013 rendition has very pretty, forward aromatics, quite floral, with perfectly ripe peach-apricot fruit in the classic register. The palate, too, is equally pretty, very elegant and finely detailed. Light lees notes emerge on the finish, but this is clearly a fine wine and a top site. Tasted May 2017. Universally considered in the top echelon of Wachau producers, Franz Sr., and now Jr., are pivotal figures in the region. Franz Sr. is one of the founding members of the Vinea Wachau Association aimed at keeping quality standards high, leading by example. Strict yield control, intensive canopy management, harvest over several passes through each site, and rigorous selection are just part of the Hirtzberger approach to quality. Although grapes are picked at high ripeness, he admirably manages the difficult balance between power and freshness, achieving marvellous elegance across the board. Wines are bottled quite early, usually around February, to maintain fruit purity and freshness. 97 2015 Hirtzberger Ried Singerriedel Riesling Smaragd Wachau Surely one of the top riesling vineyards in Austria, a west-facing site overlooking the town of Spitz, this almost 10 hectare cru is believed to have once belonged to the Singer family, and “riedel” translates essentially to a long-stretched hill, hence the name. More poetically perhaps, another theory has it that the name derives from the abundance of the singing, noisy crickets in the evening. Whatever the case, Hirtzberger, who owns 1/3 of the cru, is also its maximum interpreter, known for his wines of density, power and ripeness, yet never overly heavy, even if a small percentage of botrytis is accepted according to vintage conditions. Within the estate’s superb range, it’s “always the most mineral-driven, tension filled, highly ageworthy riesling”, according to Franz Hirtzberger Jr. The 2015 is surprisingly open at this early stage, clearly ripe and perfumed, moving into the tangerine spectrum. But the palate has amazing tension and depth, salinity and power, creamy texture but pitch perfect balance. Extraordinary length; a near-perfect wine of pure crystalline clarity. Tasted May 2017. This 2005 amply establishes the amazing longevity of the Singerriedel vineyard, an excellent, warm, dry, clean, healthy vintage to be sure. Like all of Hirtzberger wines, this is given relatively short aging on lees and early bottling, usually in the spring following harvest. It’s powerful, intense, maturing nicely now and showing some honeyed character, but the palate still has amazing vibrancy and life, and even seems to have a little CO2 prickle remaining. Terrific depth and breadth of flavour, savoury, racy. 14% alcohol. Near perfect. This is glorious. Tasted May 2017. Another brilliant Singerriedel cru riesling from Hirtzberger. I love the still-fresh and youthful, gorgeous nose, so flowery and citrus-driven. The palate offers terrific acids, so elegant and refined overall, and with a very long future ahead for the patient. Drink or hold another dozen years or more. This is brilliant. Tasted May 2017. The Hochrain offers a little more loess topsoil, a “heavier site”, yielding generally more bold, ripe, stone fruit/apricot-dominated riesling, forward in youth but still capable of ageing well. This young 2016 is terpenic and grapefruit-inflected, shifting into softer and riper passion fruit, tropical fruit, and tangerines in syrup. On the palate, too, acids are a touch soft (relatively speaking), but length is certainly very good. One of Hirtzberger’s more open, gentle and approachable wines. Tasted May 2017. Axpoint is a fairly deep loess, moderately sloped site, which reaches a reliably high degrees of ripeness every year, especially in a warm vintage like 2015, and gives a sweet impression in youth but tightens up in time. Nevertheless, I find this quite closed at this stage, even if dominated by ripe but fresh fruit, while the palate is generous and rich, with a vaguely sweet impression indeed, in a full, bold, and amply proportioned style. There’s an impression of fat and cream, though balanced overall, with warming alcohol on the back end. Impressive to be sure, true to the vineyard site, albeit less minerally and refined than other wines in the range. Taken off the lees in Feb. and bottled early. 14% alcohol, 3.5 grams rs, 5.0 acid. Tasted May 2017. Joseph Jamek was a pioneering leader in the Wachau. He was among the first to bottle and label single vineyard, dry wines, and adopt stainless steel fermenters. 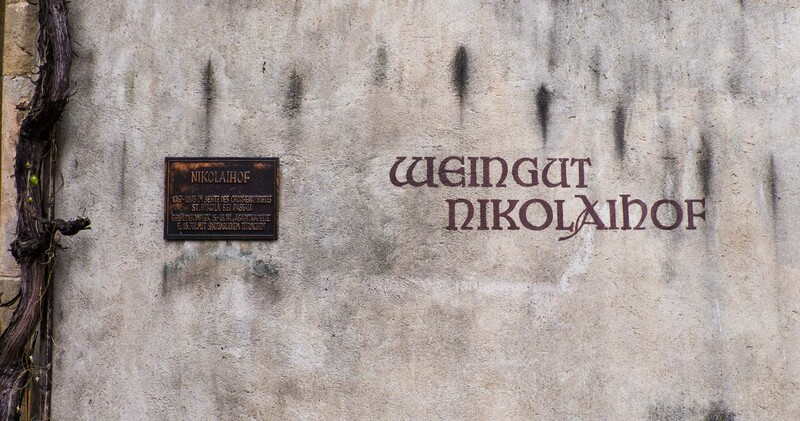 He also co-founded the Vinea Wachau association, among other important contributions to Wachau history. Daughter Jutta and husband Hans Altmann now run the 25 hectare estate featuring top crus like the Achleiten, Klaus, and Pichl. Jamek’s signature Klaus vineyard riesling in 2013 is a deeply coloured, more inward looking, powerful, and ripe wine if not quite over the top, though clearly harvested late when the peaches were just starting to grill. This is extracted and dense on the palate, with palpable tannins, a slightly sweet impression (7.4 grams rs), but also high acid. Jamek really went for it here. Generally powerful style. Turning honeyed and barley flavoured on the end. Tasted May 2017. Another pivotal figure in the region and co-founder of Vinea Wachau, Emmerich Knoll remains a among the region’s leading vintners. All grapes crushed but not destemmed, and given up to six hours maceration before pressing and blending of free run and press juice. “I’m looking for a little balancing tannin, to bring tension and tautness”, says Knoll. Wines are neither Baroque nor lean, nicely pitched in the middle of the scale with clear vineyard expression, and in some cases extreme stony-mineral character. You can easily spot Knoll wines on store or restaurant shelves – the estate has one of the most distinctive labels in the wine world, the only one used since wines were first bottled in 1961. It depicts a second century Pope and patron saint of winegrowing, and was modeled after a painting by a well-known Wachau artist who lived and painted in the Knoll family Loibnerhof inn and restaurant. The lightest of the single vineyards bottled at Knoll, from the cooler east facing valley side of the Kellerberg, at higher elevation. It’s clean, laser sharp, crystalline and pure, botrytis free, with terrific acid twang and length. Love this lean and precise jolt of energy. Outstanding. Tasted May 2017. 94 2015 Knoll Riesling Ried Pfaffenberg Selektion Wachau “Selektion’ is the riper version (Smaragd) of the Pfaffenberg riesling kabinett, and a beautiful wine to be sure. So sharp and tight, firm and minerally, not as reduced as the ’16 kabinett, but certainly chiselled and stony. Great tension and length. Tasted May 2017. A little more shy on the nose, with underlying inward, dark and stony character, like the grüner from this vineyard. Great texture and length, a little more broad than the Pfaffenberg, but still with excellent tension and cut. Just a step below. Tasted May 2017. Stony here again, though from the loess soils of the cru. Some outcroppings of primary rock (c. 20%) 13.5% alcohol. Not an overly rich style – genuine crispiness and mineral character. There’s a generous amount of flesh and weight, though, with excellent length. This has held on to balance admirably well. Easily drinkable, sapid and saline. Tasted May 2017. Really pretty, floral, fresh yellow fruit, daffodils. Fleshy, clean, bright acids. Long finish. Classic style. Absolutely textbook. Tasted May 2017. This is the Federspiel style wine from this great vineyard, though can’t be labelled as such obviously since it’s made outside of the Wachau. I love the wild ferment ‘stink’, the sulphidic character, even though this is inoculated, Knoll tells me, but this site has a tendency to reduce every year (higher amphibolite content in the soil?). In any case, it’s really appealing. The palate is full, stony, bone dry, with high acid, great cut, class and tightness, like a top Mosel kabinett. Tasted May 2017. Practically no botrytis, but this is a little more honeyed and exotic than the ’15. More mealy, oatmeal, yellow fruit. A touch richer, thicker skins, RS slightly higher, acids lower. Tasted May 2017. Lovely, clean botrytis here. Full. Apricot and quince character. Very clean. Sweetness tempered by acids. Fine length. A little VA shrill on the back end. Acid is high to be sure, 12.5% alcohol. Needs time to lose the shower curtain character. 3-4 years. Tasted May 2017. Trum is just below the great Schütt vineyard, on a rocky, crystalline outwash from the valley. Darker, riper character, more mineral. More cut and spice, more interesting. Tasted May 2017. 90 2016 Knoll Loibner Riesling Federspiel Wachau Clean, crispy, with bright green apple fruit, citrus. High acid, very bright and tension filled. Solid length. Infinitely drinkable. Fully dry; 12.5%. Tasted May 2017. A loess driven site on the foothills. Classic grüner nose here. Lighter, more floral, lighter fruit character. Relatively plump and juicy with no acid shortage. Tasted May 2017. Light, crunchy, fresh. Low alcohol, high acid. Perfectly serviceable, a bit malic. Tasted May 2017. A solid Spitz-based estate, member of Vinea Wachau, with an excellent collection of cru vineyards in the portfolio. A producer to watch. Lagler’s Steinborz parcel has a gneiss and paragneiss substrata under about half a meter of topsoil, which allow roots relatively deep penetration to 4 or 5 metres. 45-50 year old vines also help to mitigate vintage extremes and achieve full ripeness with lower potential alcohol and high acids, making this a consistent wine in the portfolio. It’s harvested late but without botrytis, resulting in a really clean, fresh, ripe, arch-classic grüner. The palate is medium-full, with crunchy-fresh acids, precise and linear, neither heavy nor light, with excellent length. This should age very well indeed. Tasted May 2017. You have to walk up 150 stairs to reach the first vines in this steep site overlooking the Danube in Spitz, and another 300 to reach the top. (There are only stairs on this hillside as it’s too steep for roads.) 25 year old vines, picked in November. Lovely, perfumed, floral riesling, finessed and elegant. I love the delicate, fresh but ripe acids. 7.5 sugar, 6.5 acid. Sleek, stylish, elegant, saline. Tasted May 2017.
gives all wines some skin contact, a minimum of 2 days, believing it increases ageability, ferments with wild yeast and bottles unfined. He produces an unwieldy range from just eight hectares total, a playful playground of a winery, so expect an extended tasting if stopping in. 2015 is just the 3rd vintage for Matthias, son of celebrated grower Franz Hirtzberger, though he’s quickly developing a solid reputation. Wines are more tightly wound and reductive, generally lighter than his father’s. The Kollmitz cru has quite deep loess topsoil, growing more shallow further up the hill where his parcel is located closer to the gneiss bedrock. It’s crafted in a lightly reductive style with plenty of grapefruit up front. The palate is fullish, powerful and ripe, very terpenic, turning more tropical on the back end. Acids are quite hard, and residual sugar is noted (4.8 grams listed on the tech sheet). I find it a bit awkward at this point, though it will surely improve. Length is very good in any case. Tasted May 2017. One of Austria’s, and Europe’s, first biodynamic wineries, since 1971, the highly-regarded Nikolaihof estate sits on a Roman settlement, later a monastery, before being deconsecrated and sold off by the state in 1803. The Saahs family, current owners, bought it in 1894. 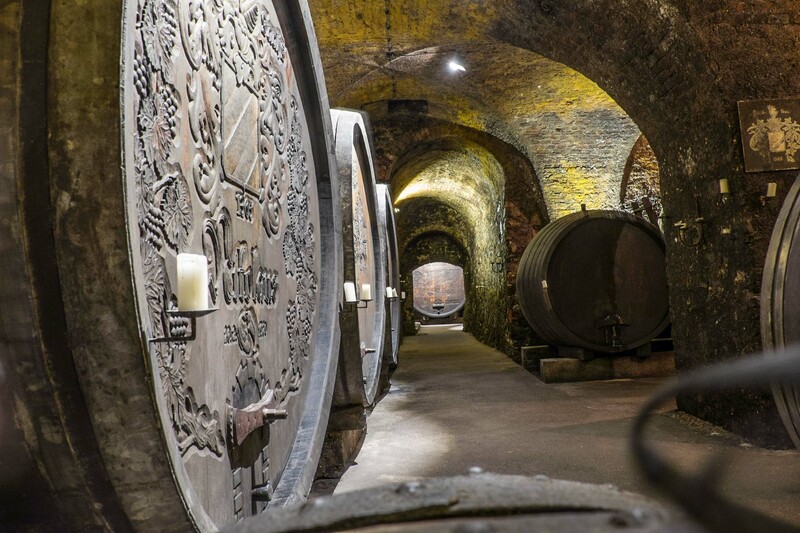 A visit to Nikolaihof is like a trip back in time; most of production from 22ha of vineyards is aged in the ancient roman cellars in large old casks, up to 12,000l, each named after one of doyenne Christine Saahs’s four children. Son Nikolaus has been in charge of the cellar since 2005, but one gets the sense that not a great deal has changed here in many years. He attended Geisenheim University for winemaking but didn’t finish the program. “I learned what I needed to learn, and then moved on”, he says. “I wasn’t interested in all of the technological manipulations they teach”. Biodynamics permeates the entire family philosophy. Sister Christina is an anthroposophic pediatric doctor, and brother Martin runs a biodynamic cosmetics company. Wines spend years in cask, sometimes decades, lending a distinctively oxidative tone across the range, burnished by time and oxygen into complex, smoky-earthy, dried fruit expressions. The 6th vinothek edition. 16 years in a 3.5k litre barrel. From the Vom Stein vineyard, Smaragd level ripeness. Again some sherry like qualities, evolved, earthy, fruit has faded. Melted butter and blond caramel emerge, though obviously not from wood. Caramelized citrus. Terrific length and palate presence, a testament to the durability of these wines, even if not pure pleasure. Turns a bit bitter on the finish. Tasted May 2017. Erich Krutzler, originally from the Sudburgenland region, married Elizabeth Pichler, daughter of F.X. Pichler, and moved to Dürnstein where they launched their own label in 2007. Today he makes about 80,000 bottles from 11ha in the Wachau, split between estate vineyards and long-term contracts (as well as a small amount of wine from his family vineyard in the Eisenberg, Burgenland). Estate vineyards are in conversion to organics. The house style is pure and balanced, very clean, certainly lighter and more lithe than his father-in-law’s wines. Krutzler does relatively warm ferments (for white wines, up to 20ºC), and extended ageing in cask on lees (all large, Austrian oak casks, untoasted), with no batonnage. Malolactic fermentation is prevented by the cold cellar and use of SO2. An excellent address. Franz Prager was a co-founder of Vinea Wachau. This important estate is now run by daughter Ilse and husband Dr. Toni Bodenstein. Bodenstein, a biologist, geologist and historian, spent years studying the geology of the region and working on preserving genetic diversity of the local varieties. He produces wines of substantial structure and weight, concentrated essences of vineyard expression. 2007: early budbreak, hot early summer, wet August; facing early harvest but late rains pushed the harvest back several weeks. Harvest thus came late when the cold moved in. Elegant, straight wines, though less acid than say ’13 or ’15. Clean , maturing, fruity, attractive, still fresh. Equally elegant palate, juicy, very inviting. Great length. Lovely white acacia flower honey. Talc-y texture. Surprisingly light for Prager. Tasted May 2017. Third generation Rudi Pichler (his son is the fourth) took over the family vineyards in the early 1990s and slowly enlarged holdings to the current 15 hectares of vineyards, split into 50 different parcels. Strict attention to detail is evident across the range; Pichler prefers a later harvest style, leading to generally lower acids across the board, and soft and creamy textures. Balance is achieved via skin contact for all wines, providing some phenolic grip to freshen wines up and build texture. Stony-mineral character is in the fore. 5th generation Martin Mittelbach leads the winery based in Unterloidben in the heart of the Wachau, producing powerful wines from an excellent collection of crus. From several parcels on the Kellerberg, including some of the warmer and slightly cooler east-facing sites, offering a nice balance of power and elegance. There’s considerable ripeness (13.5%), and the palate mixes fruit with stony character in a straight up and pure, highly pleasing style. Drinking nicely now. Tasted May 2017. Peter Veyder-Malberg is one of the few leading Wachau growers not from the region. Born in Salzburg, he worked in the advertising business in the 1980s, eventually coming to wine through passion. He quit his job in 1990 and travelled extensively in Austria and Germany to taste and talk with winemakers before moving to California for a year to learn winemaking, both hands on at Pine Ridge Winery and through evening classes at the Napa Valley College. He later worked in cellars and vineyards in Germany, Italy, Switzerland, and New Zealand, and in 1993, joined Graf Hardegg in the Weinviertel as managing director where he converted the considerable estate to biodynamics. He launched his own operation in 2007. It was the terraces that first attracted Veyder-Malberg to the Wachau, believing that the soils would be in perfect shape, never having seen a tractor. Reality, as he later found out, was different; soils were in terrible shape. He has since converted all of his 4.5 hectares to organic/biodynamic, and has quickly moved to the top ranks of the Wachau. “Soil health is everything. We know little about what’s going on under the surface, yet we live from what’s in the ground, from the micro-organisms that live there. There’s the equivalent of 35 cows worth of living organisms in a hectare of vines, in the just the first 30cms of soil”, he says with evident conviction. The style is light, elegant, and ultra-refined, with sharply delineated acids. “Sugar for me doesn’t mean ripeness. I’m not interested in high sugars. Low pH and high acidity are critical. It’s better for ageing and drinkability.” He’s aiming to make wines as they were made a century ago, using modern equipment like old equipment, for example simulating an old basket press cycle with his pneumatic press, up to eight hours, longer in low pH years, shorter in high pH, low acid years. Grapes are crushed but not destemmed, and does warm (up to 25ºC), wild ferments from oxidized juice to make for more stable wines in the long-term. The entire range is superb. The westernmost vineyard in the Wachau in the Spitzer Graben, at the marginal edge of winegrowing. Really pretty nose, bright and fragrant, floral. Such finely chiselled acids, fine flavour development, consummately finessed and elegant. Fresh herbs, sweet, savoury-botanical. Excellent length. A wine lovers’ riesling, totally uncompromising. Tasted May 2017.